Despite being a big departure from the typical stories Penny tells in this series, this book manages to be one of the most compelling Armand Gamache books so far. I got nervous halfway through that there was going to be an anti-Catholic message in this mystery novel, but I'm happy to say this was not the case, and that I was glad to be able to enjoy the book to the end. Though there are anti-Catholic sentiments and odd misunderstandings of the faith espoused by some characters, the story as a whole really focuses on the flaws of individuals without blaming the entire Church for anything. I'm not sure how realistic this novel is, but I did love the details of the abbey, the focus on Gregorian chant, and the way the murder is investigated and resolved. There is also a heartbreaking subplot involving the friendship between Gamache and Beauvoir that is surely going to have implications for later books in this series. These two characters and their loyalty to one another is one of the things I love most about these books, and I'm both nervous and excited to find out what Penny does with this friendship after the way things are left at the end of this book. Though I'll be glad to be back in Three Pines in book 9, How the Light Gets In, A Beautiful Mystery has proven that, in or out of Three Pines, any story involving Gamache is worth reading. 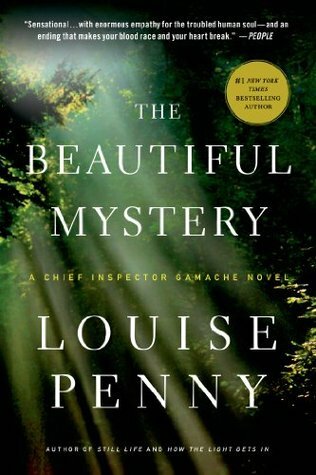 Sign into Goodreads to see if any of your friends have read The Beautiful Mystery.